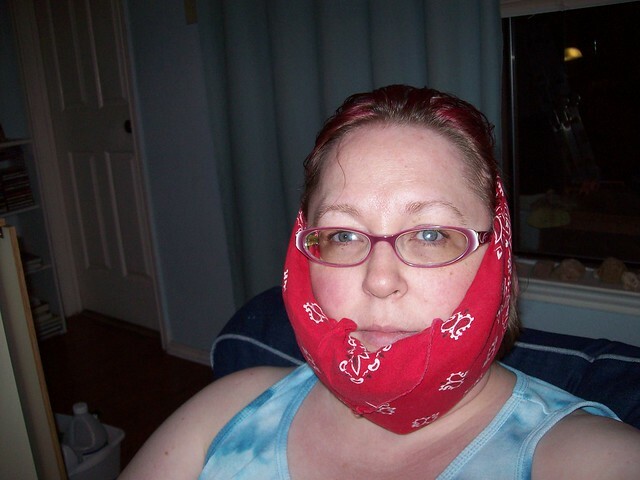 No, I’m not showing off a fancy fabric beard – it’s an ice pack. I had all four wisdom teeth extracted a week ago, and have been living on painkillers ever since. I’m working on a post about darning, and hopefully will have it live in a few days. Until then, I wish you all painless chewing! Here’s a good wish coming your way for a speedy recovery **hugs**.